I’m hosting Tempeste O’Riley on my LJ today for her cover reveal for her upcoming release Signs of Desire. 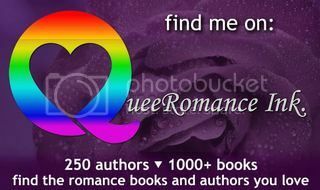 I’m taking part in the LGBT Halloween Blog Hop. There are prizes to be won – enter and spread the word. More details and a list of sites taking part on my LJ. I’m interviewing RJ Jones today on my LJ as part of her blog tour with Eyes on Books for her new releases The One That I Want and Hopelessly Devoted. There’s also a rafflecopter giveaway. I’m hosting Francis Gideon on my LJ today as part of his blog tour for his new release with Fearful Symmetry. Morgan from The Kimi-Chan Experience has written a lovely 4.5 heart review for Family and Reflection. Thank you. I’m hosting Russell Soots today on my LJ as part of his tour with Creative Minds Promotions for Brass & Keys. There’s also rafflecopter giveaway.